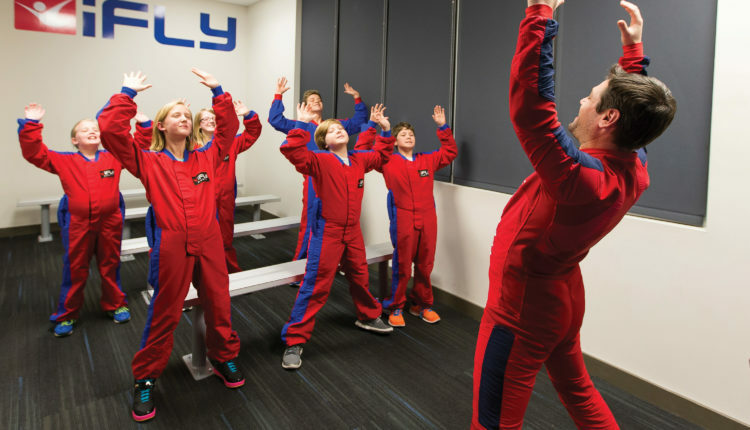 iFLY Hollywood is the experiential entertainment company that created modern indoor skydiving. We make the dream of flight a reality by giving our customers “wings” in a safe and reliable environment. Become a part of something bigger than yourself. You’ll fall in love with the sensation & the freedom that comes with floating on air. 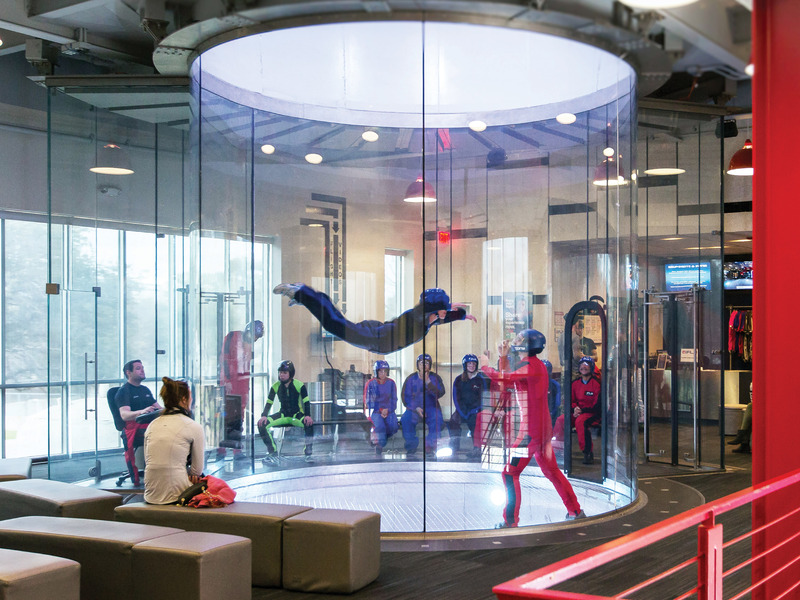 Once you do, there’s a new and exciting sport of indoor bodyflight to become involved in. 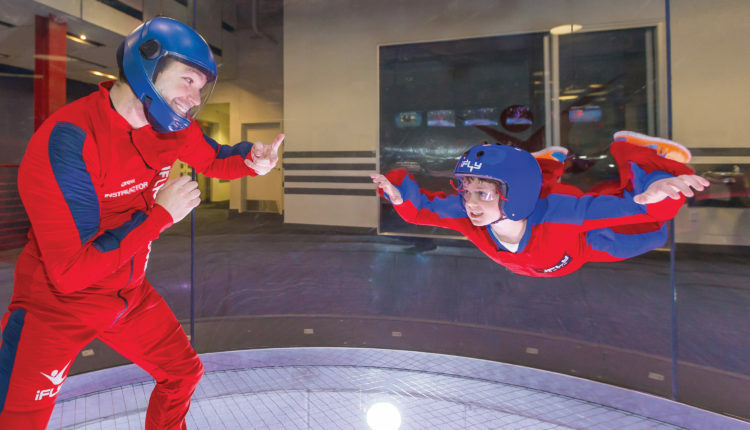 The iFLY experience, from check-in to check out, lasts roughly 1.5 to 2 hours and is equivalent to 1.5 skydives. 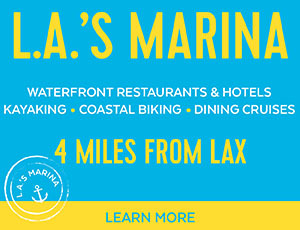 You can purchase 2+ flights. 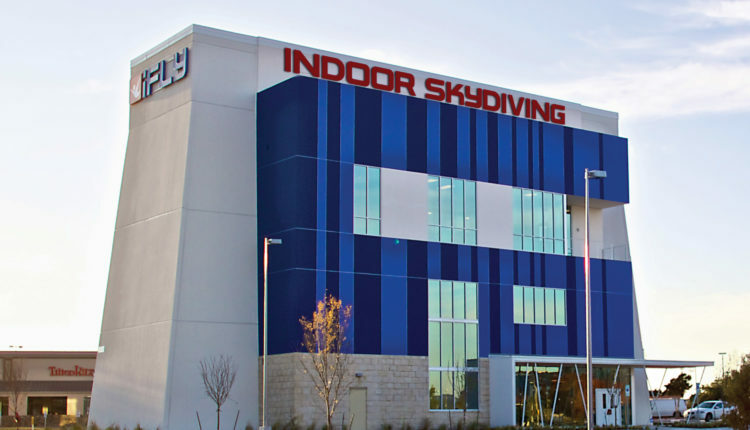 iFLY started in 1998 as SkyVenture, LLC. 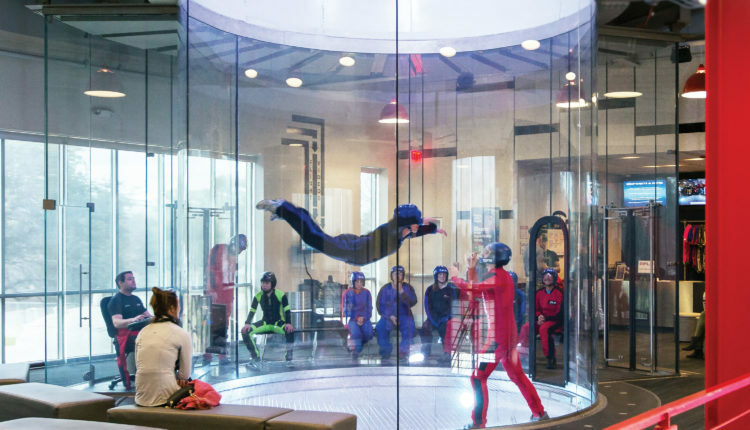 Once we had developed the technology to create a stable, wall-to-wall cushion of air in a flight chamber, we knew we could offer an incredibly realistic and safe indoor skydiving experience. 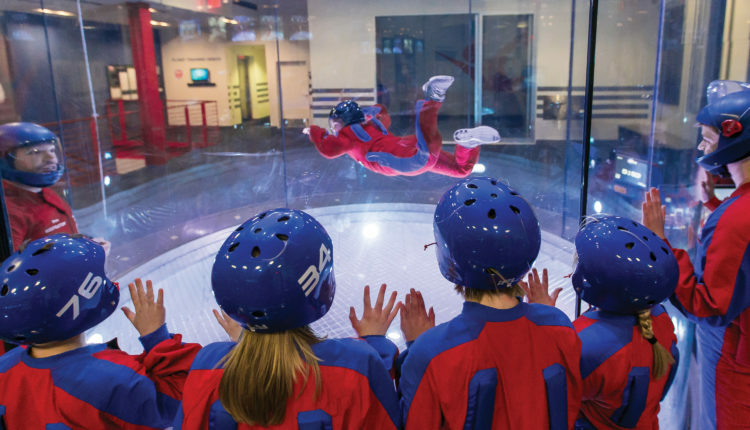 We opened our first indoor skydiving facility in 1999. Between 1999 and 2005, we opened three more facilities. 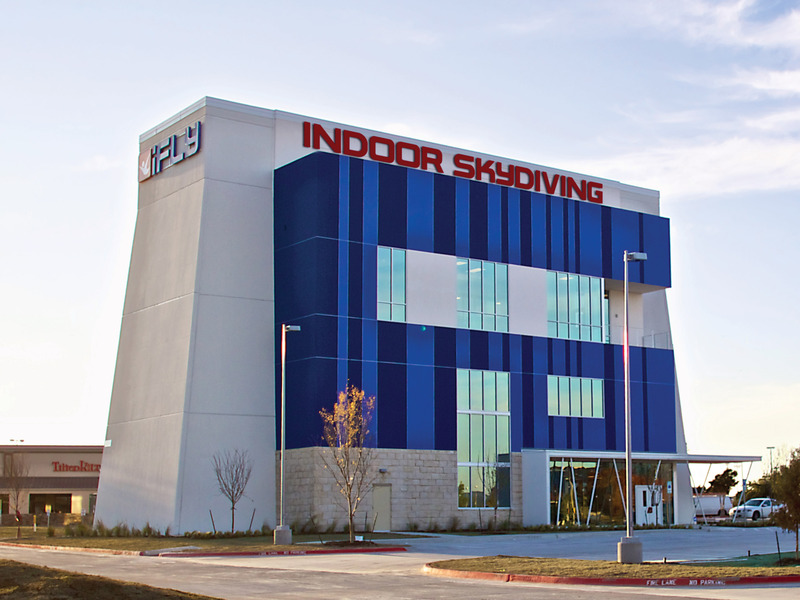 In 2005, we rebranded ourselves iFLY, maintaining SkyVenture as our design and manufacturing company. 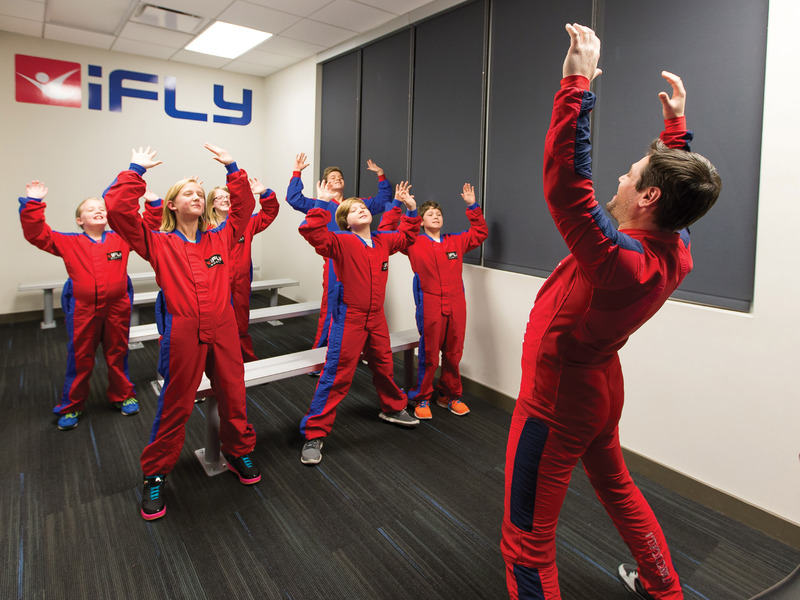 Today, iFLY has 37 locations around the world in the US, Canada, Europe and Asia, and the list continues to grow. TRAINING: Your flight instructor is trained and certified by the IBA (International Bodyflight Association) – he or she is happy to address any questions or concerns about flying or the sport of bodyflight! During training in our classroom, you will learn proper body positioning and hand signals used by our instructors to guide your flight. Remember: Relax and have fun! GEAR UP: After training, your instructor will lead you to the Gear Up counter where you will receive a helmet, flight suit, and goggles to wear during your experience. FLYING: It’s time to fly! 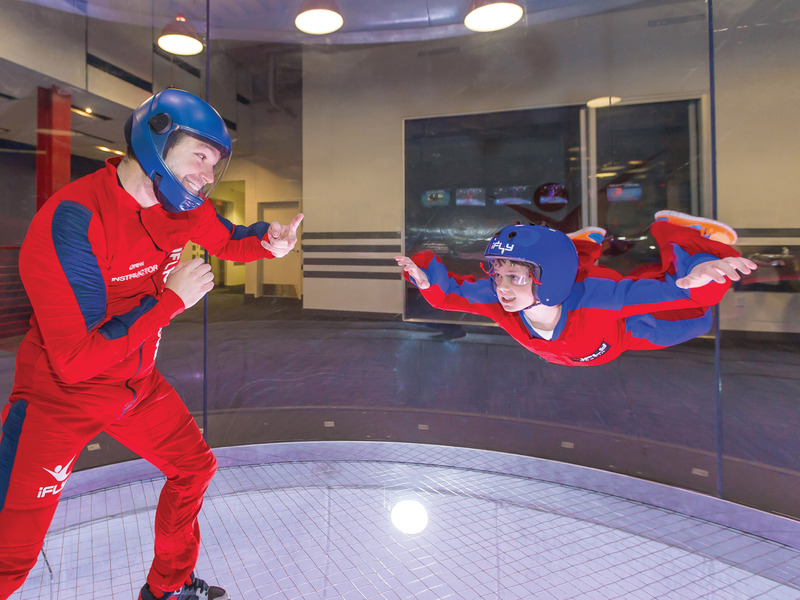 Your instructor will lead you into the Flight Chamber and assist you while entering, flying, and exiting. Remember what you learned during training to help achieve proper technique. 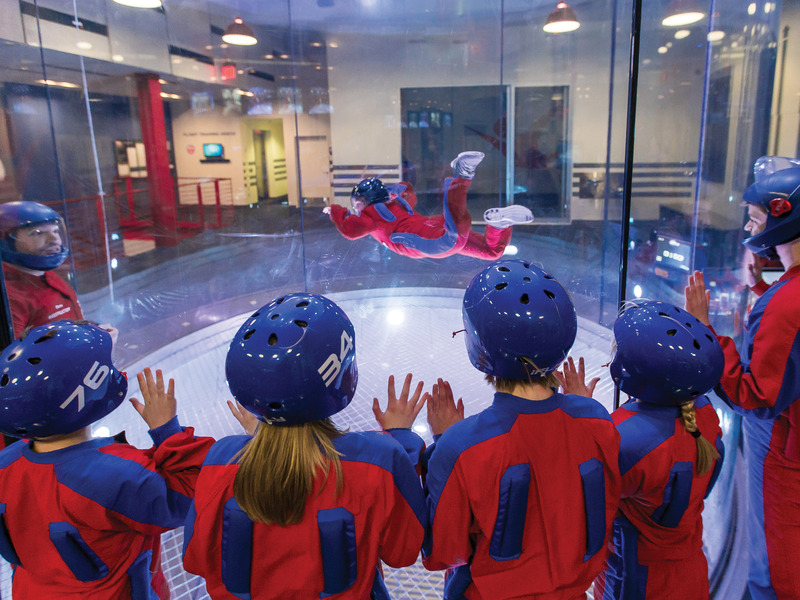 Once you nail the basics, the wind tunnel can become your playground! Enjoy an instructor air show once you and your party have finished flying. 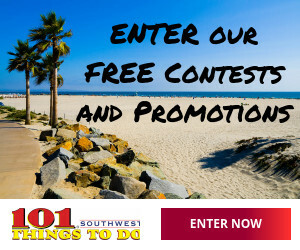 SAVE $10.00 OFF YOUR INTRODUCTORY FLIGHT!